Brew day meets tea time with this...pale ale. A combination of vienna and crystal malts as well as gunpowder green tea make the Green Tea Pale Ale a unique take on a classic beer. But of course, I couldn't leave it at that; The Beautiful Mrs. Tas and I had just recently visited Australia and had brought back a small supply of very nice Earl Grey Tea, so I decided to substitute that in place of the Gunpowder green tea that came with the mix. We'll find out whether that was a good idea or not once the beer is ready to try. Where the malts are concerned for this beer, I am only guessing, based on the description provided by Brooklyn Brew Shop: 2-row or Pale Ale malt, Some 10 and/or 20 Crystal and Vienna malt seem to be the main players here. I am also guessing that there is possibly some wheat in the grain bill, but I have nothing to back that up other than intuition. the expected ABV is 5%. This might be the highest AA hop that I've used, so I was a bit skeptical; however, Nugget seems, at first impression, to be a good match for this beer. I'll know more when it is finished. There are a total of 10 grams of hops for this 1-gallon batch: the first addition at 60 minutes is 2 grams, the second addition at 45 minutes is 4 grams and the final addition is at knock-out at 4 grams. The defining characteristic of this beer is of course the addition of tea. The mix came with one bag of Gunpowder green tea, but as described above I chose to give the Earl Grey a try; since Brooklyn Brew Shop tends to go very subtle on the additions, I decided to use two bags of this tea. I don't think it will overwhelm the beer or throw it out of balance, but of course I won't know until I try the finished beer. The tea is added at knockout, along with the final addition of Nugget hops. My mash temperatures were a little high during the first 10 minutes but after that held fairly steady at a couple of degrees higher or lower than 150 degrees throughout. The sparge seemed to take a little extra time and in my observation was a little sticky, but it was nothing terrible. The boil went well and on schedule, except that I never did seem to get a good hot break; Every time it looked like it was going to break, it just kept going until I finally stirred it in. I don't know exactly what this means but I hope it doesn't affect the clarity of the beer too much. One note to myself is that this was my first brew since we got a "new-to-us" stove. With our previous stove, I was able to maintain the boil perfectly at about 4.5 on the dial; however, it seems that this stove requires the dial to be at 7.5 in order to get the same performance. No big deal, but I did want to make a note of it for future brews. I was able to chill the beer down in about 25 minutes and had no issues with the transfer to my fermenter; the pitching of the yeast went well, also. I ended up with one gallon plus about 10% of wort, which is exactly what I was hoping for. I had planned to use S05 as the yeast for this beer, but when I checked my supply I found that all I had left was S33. I decided to use the yeast that came with the mix, which is a fast-acting yeast that leaves good malt and hop flavours and has never caused any problems for me. I was running late this morning, so I was unable to check on the beer, but when I looked in on it last night, I could see that fermentation was definitely ramping up. Ambient temperatures are a few degrees lower than I would prefer, about 60 or 62 degrees; however, I am not concerned about this as I tend to give the beer at least three weeks to ferment and often go four or five. I'll take a look at it when I get home this evening and expect that it will be just fine. 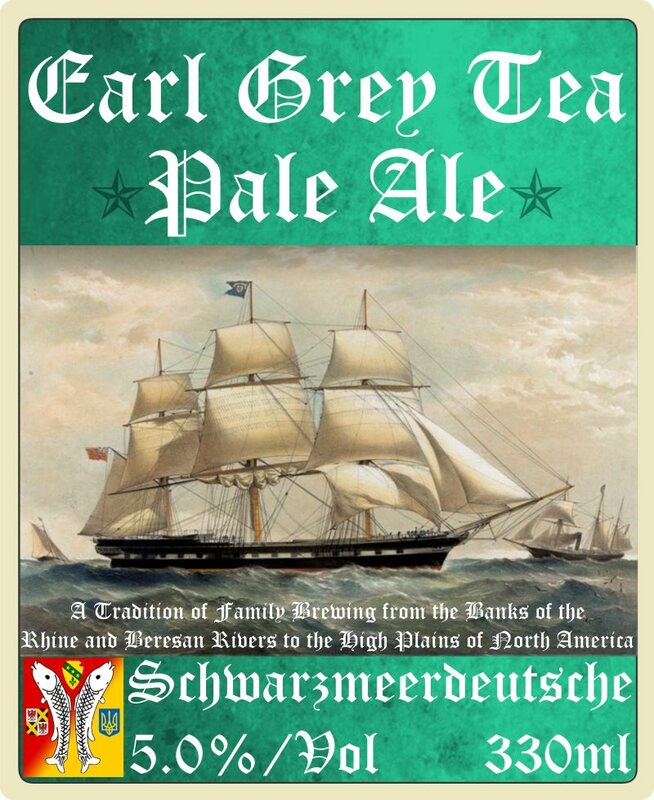 I'll come up with a label for this beer as I can; since the hops are from Oregon and the tea is English that we brought back form Australia, I'd like to meld the two ideas somehow for the label. One idea might be a maritime theme with a clipper ship etc. ; another might be a play on the "54-40" controversy in the intertwined histories of Oregon and England. Or, I might go with something totally different. In about a week, I'll be kegging this beer, a few days after that, it will be ready to sample. I'm expecting some really good things. Good luck with your unique beer !! The only variation from the instructions was that I used a mini-siphon, rather than siphoning "the old fashioned way." The process went smoothly and the keg is currently in my refrigerator, doing it's thing and hopefully carbonating my beer over the course of a couple of days, rather than a couple of weeks. In accordance with the instructions, I am gently agitating the keg 3 times each day, to help facilitate the carbonation process. The beer itself looked great; I should have taken a photo, because it was a very beautiful colour, somewhere between butterscotch and caramel. It also smelled incredible, as well; the Nugget hops are a good compliment to the bergamot in the Earl Grey Tea, and I suspect that the finished beer will be very good, indeed. 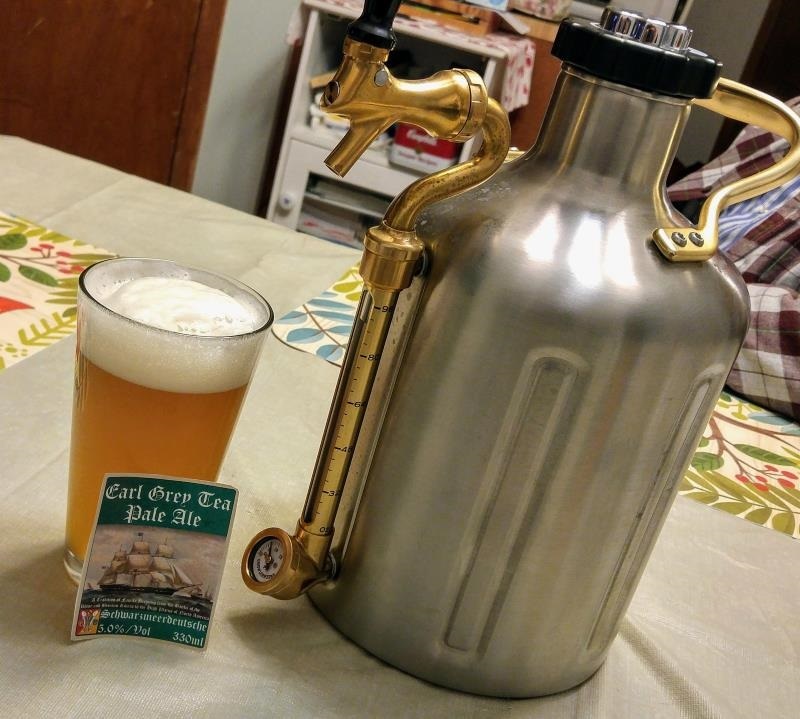 I've never kegged a beer before, so I am sure that there will be a learning curve to this process; however, the uKeg seems like a very user-friendly product and I am impressed so far. By Friday evening, I should be able to sample the beer, and am looking forward to it. Well, I am pretty impressed with this whole experience; both the beer and the keg. Three days after kegging the beer, it was ready to pour. I got a little more foam than I expected, and the beer was a little bit hazier than I expected; however, I am 95% sure that this was due to the fact that I drove 3 miles on a bumpy road before trying it, and also because I am pretty sure one of my sons loosened the pressure cap while it was carbonating. I'll know more about this next time. The colour, even with the unexpected haziness, was absolutely beautiful. 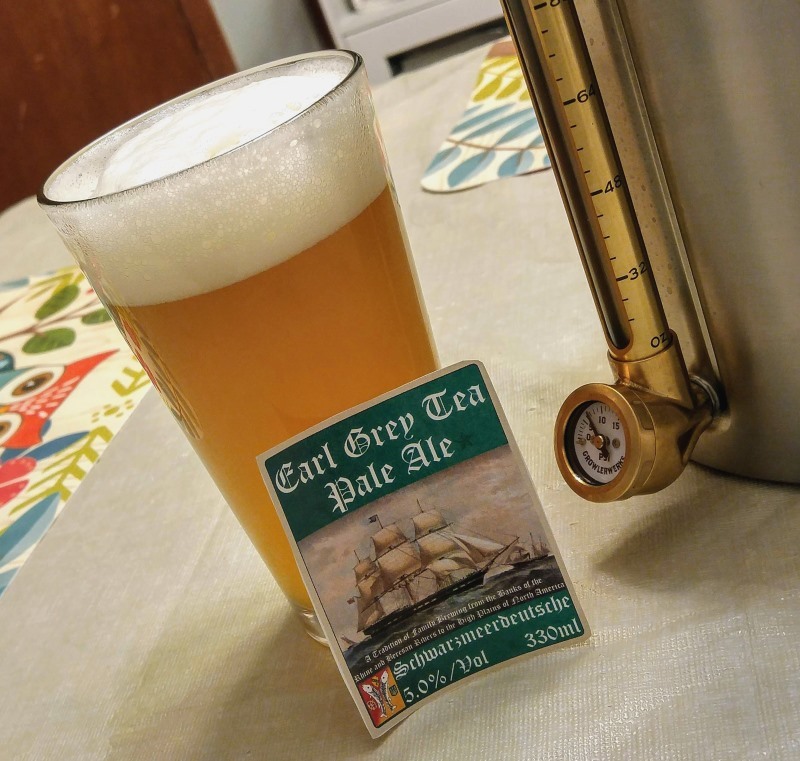 The aroma was very nice, with a balance of the malts and the nugget hops that I really liked, with a nice, light, citrusy kick from the bergamot in the tea that went well with the woodiness of the Nugget hops. The mouthfeel was smooth and full-bodied, kind of addictive in a way that I really liked. The taste of the beer reflected the aroma, with a prominent (but not over-whelming) maltiness balanced by a delightful freshness from the hops and tea. Regretfully, I do not know the grain bill for this American Pale Ale, but Brooklyn Brew Shop nailed it. If I can come close to duplicating it in future brews, I would be very happy. The tea itself was represented very well, and I am convinced that two bags for the gallon as just right. It did not over-power but was definitely noticeable - and complimented the entire beer nicely. The finish was just a touch more "resiny" (resinous?) than I would prefer, but not by very much. I suspect that most people who enjoy an American Pale Ale would find this to be just about right, or possibly even a little on the light side where that quality is concerned. Above all, the beer tasted both fresh and refreshing, with no "green" qualities that I could detect in the slightest. This was a true winner! In summary, I really enjoyed this, and so did my father. The keg made a nice conversation piece and convenient delivery method while we played cribbage that evening. We drank a little more than half the gallon in the one sitting, and I suspect that we'll finish it off before this coming weekend is out. Very nice Ron! I'm not a fan of the APA style, at least the American version of it, I don't really care for beers with that "piney" "resinous/resiny(?)" aftertaste. I've never tried a British version (which coincidentally is where the APA style originated) but they are described as more malty, buttery, and balanced. I need to find a good example of a British APA someday and try that. Anyway, back to your beer. it sounds wonderful. I'm a big fan of Earl Grey tea, especially the double bergamot if I can find it, so I'm guessing I would like this beer a lot. I wonder how the tea would be paired with a blonde ale. I think I have a box of BBS Bruxelles Blonde that I need to make up... maybe I'll throw in a couple Earl Grey bags and see how it goes. 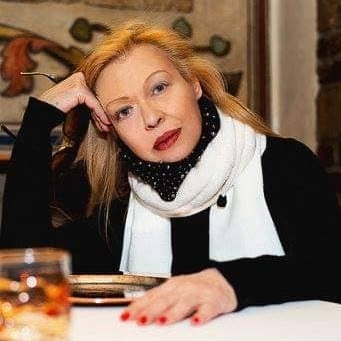 If you have the Bruxelles Blonde, give it a go, and I am betting you will be pretty impressed. If you don't have it, I can shoot the recipe over to you, and you can still try it. I agree with your assessment of most APAs; I think the problem is that too many try to make it a "baby IPA" and over-do it on the hops, especially the bitter, resiny, high-alpha-acid hops. Often, they are prepared with a really dry grain bill, as well. There's nothing wrong with that, if that's what one likes - but I prefer something a little maltier, with a lower IBU count around 30-35 (which is still well within "style" for an APA). I came up with a great APA last year that fits this concept perfectly, and am currently working on a prohibition-era, PNW-centric idea for another APA as well; I tried one from Rainier and found it to be one of the best examples of an APA ever (unfortunately, it is discontinued everywhere except for one small distribution center in Wisconsin, of all places). The British Pale Ales are even better, in my opinion, and you have a good grasp on the profile. I attempted one last year and came very close - even better, I know the tweaks I need to make in order to dial it in to "nearly perfect," next time. If/when you go to give it a try, let me know, and we can compare notes. I tried to do some evaluating of the beer this time around, and I still give it extremely high marks. The tea came through well, the malts were very much to my liking, and the aroma and (for the most part) the flavor of the hops was spot-on for this beer. My only criticism is that the finish was slightly too bitter/resinous for my tastes, due to the Nugget hops; I would probably be in the minority with that view, but it is the only issue that I think I would try to correct the next time that I make this. Perhaps Cascade would be a better choice, for hops. In all, a very successful beer, and I was extremely happy with it!